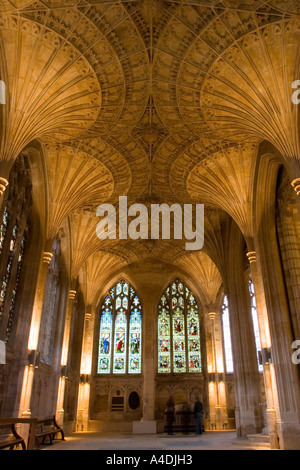 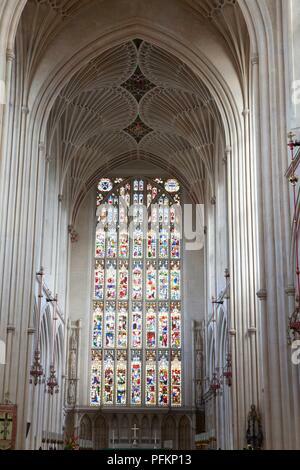 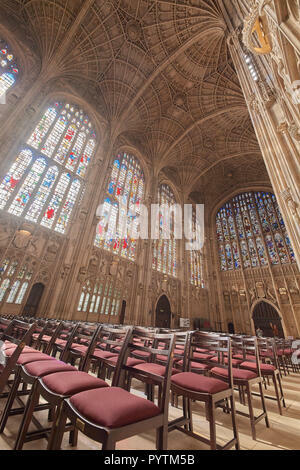 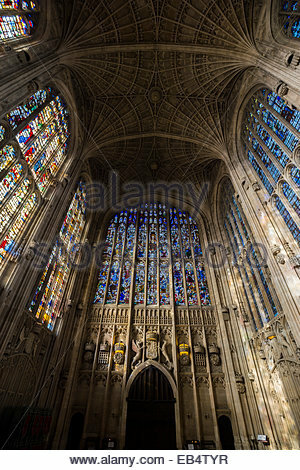 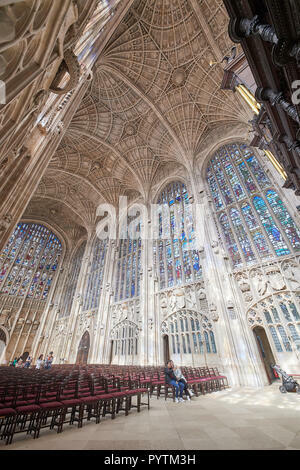 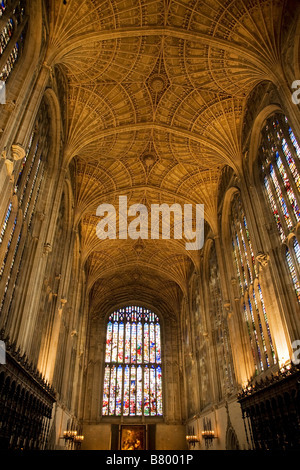 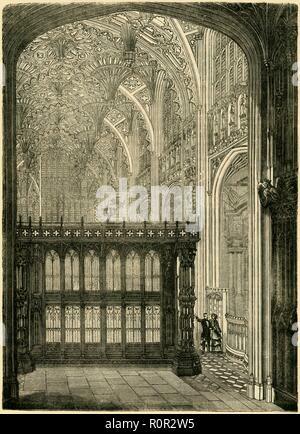 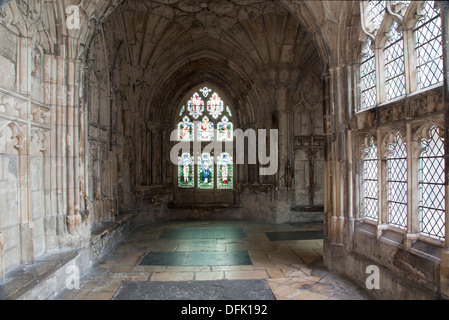 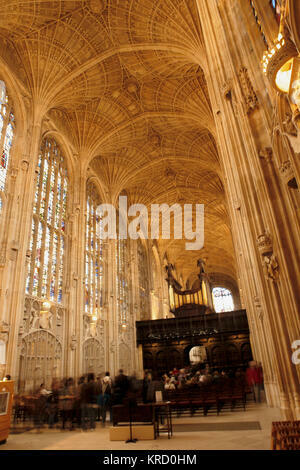 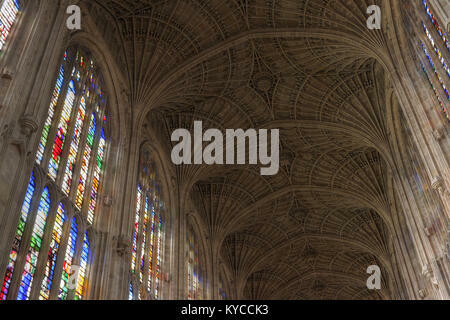 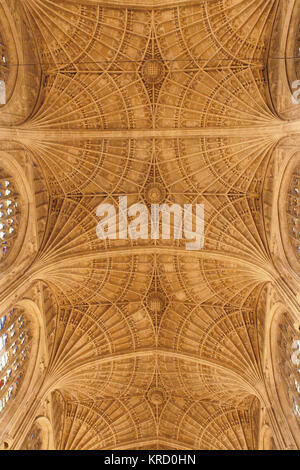 View of the large stained-glass windows and fan vault ceiling of Kings College Chapel in the University of Cambridge, England. 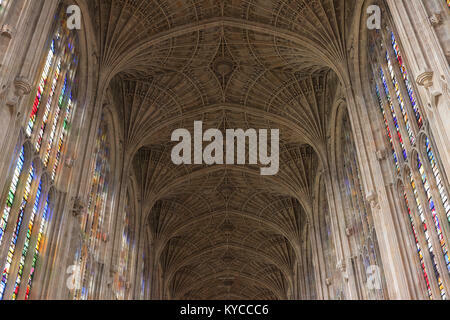 Rows of chairs in front of the north and west stained glass windows under the fan vault ceiling, King's college chapel, Cambridge university. 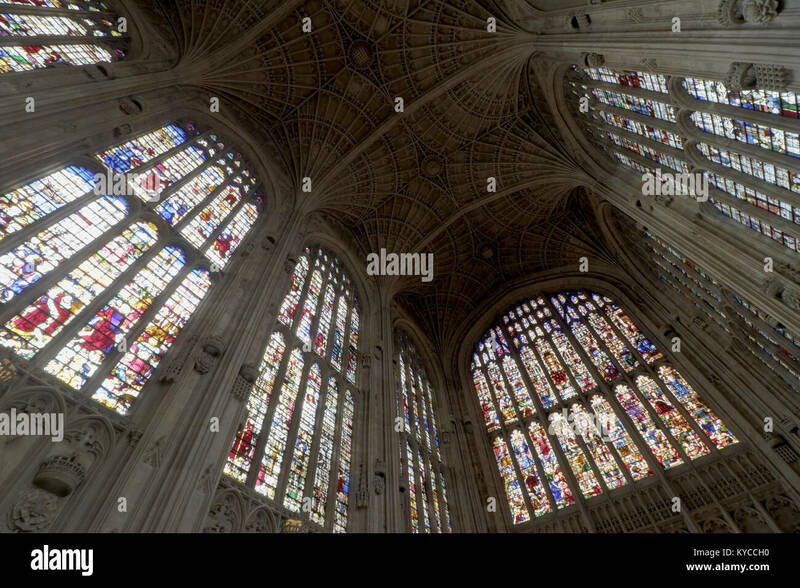 Rows of chairs in front of the south and west stained glass windows under the fan vault ceiling of King's college chapel, Cambridge university.